Microsoft recently released the Lync 2013 PreCall Diagnostics tool. This can be found on the Windows Store. It is a Modern App so it requires at least Windows 8.0. I’ve tested it on Windows 8.1 and it work fine. It doesn’t appear to support Windows RT. 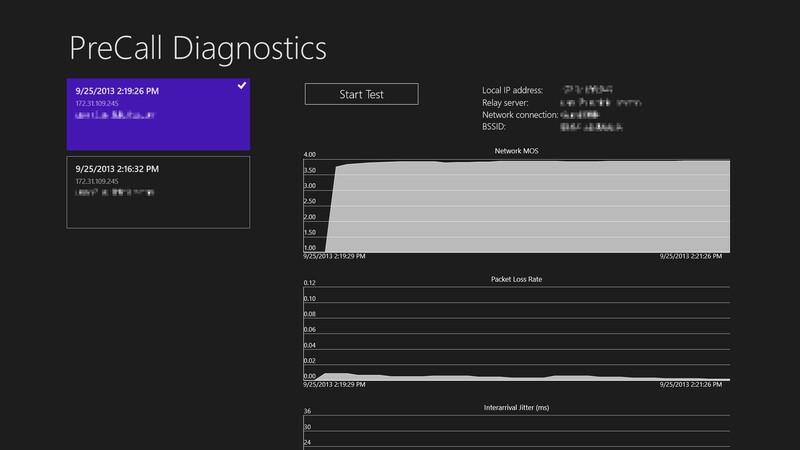 The point of this app is to measure the Network MOS, Packet Loss Rate, and Interarrival Jitter of your current network connection. There really isn’t much detailed help on this app. If you do click on the Help icon from the charms menu, you are redirected to the OCS 2007 R2 help page for that legacy PreCall Diagnostic Tool. (You would think they would want this link…). It’s a pretty simple app to use. Launch the app from the start menu and provide your Lync credentials. The app runs a test for 2 minutes, displaying real-time graphs of the 3 metrics. You can also run it in “Always On” mode which will gather up to 24 hours of metrics. You can also keep the tool running while on a Lync call to get stats from an actual live call. 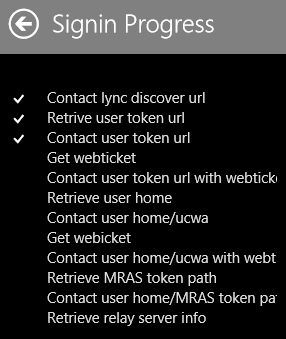 When you initially log in it displays the various log in steps. 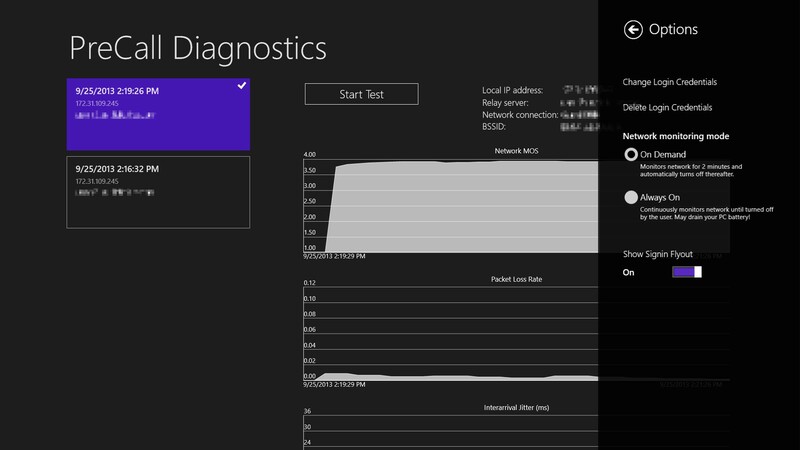 Should your log in fail, you can use this high-level diagnostics to see where the error is. For example, when I joined my Surface to a specific wireless network in the office, the tool reported that it was unable to connect to a specific Lync server and thus the login failed. Here is a screenshot of the settings flyout. You’ll also notice the “blocks” on the left. These will bring up the graphs from previous times you have run the tool so you can compare and contrast historical performance. That’s a nice touch. Again, you can get the tool from the Windows Store.